The Beatles' story began in Liverpool in March 1957, when John Lennon (born 9 October 1940) formed a group named The Quarry Men. His life was changed by the excitement of rock ’n’ roll music - heralded by Bill Haley and His Comets, but taken to another level when Elvis Presley stormed the charts during 1956. The next year saw the arrival in the UK of hits by Little Richard, Buddy Holly and The Crickets, the Everly Brothers and, in movie theatres, the exciting rock film The Girl Can’t Help It!, featuring Eddie Cochran singing ‘Twenty Flight Rock’. Introduced to John on 6 July 1957 at a church fete in Woolton, Liverpool, Paul McCartney (born 18 June 1942) sang Eddie’s song word perfect. Impressed, John invited the fifteen year old to join his group. In February 1958, Paul’s younger school pal George Harrison (born 25 February 1943) won his place in The Quarry Men when he impressed the others with his guitar skills, especially on the current hit instrumental ‘Raunchy’ by Bill Justis. With a constant nucleus of John, Paul and George. At this time, a group from Liverpool had the odds stacked against them when trying to gain a foothold in a record business focused on London. In early 1962, they had acquired an ambitious and rather refined manager, record shop boss Brian Epstein. He faced regular rejection from music companies until George Martin signed the group to EMI’s Parlophone label. By fate, The Beatles had found both the ideal manager and perfect producer. The last piece of the picture slotted into place just three weeks before recording their first single on 4 September 1962. Ringo Starr (born 7 July 1940) was asked to take over as drummer. He had been playing with Rory Storm & The Hurricanes - another Liverpool group who played long stints in the clubs of Hamburg. Ringo’s personality, sense of humour and rock solid, inventive drumming proved to be just right for The Beatles. 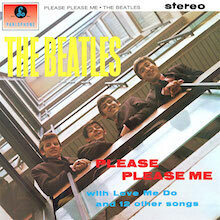 Their first Parlophone single was released on 5 October 1962. Both sides of the disc were original compositions - a remarkable statement of intent from a group making their first steps in the music business. In fact, George Martin had urged them to record Mitch Murray’s ‘How Do You Do It?’, which he felt was a sure-fire hit. They had reluctantly agreed, but were able to persuade George to shelve the recording in favour of their own songs ‘Love Me Do’ and ‘P.S. I Love You’. Just one example of how The Beatles’ story might have been very different with a less open-minded record producer. George Martin’s faith in The Beatles, and in John and Paul as songwriters, was soon vindicated by the release of ‘Please Please Me’ in January 1963. The single reached the top of all but one of the UK charts. It was followed by the number one ‘From Me To You’ and their first album Please Please Me, which topped the chart for 30 weeks until their next LP replaced it at number one. The debut album featured eight Lennon/McCartney compositions and six cover versions of recent American Rhythm and Blues records. The selection, a result of The Beatles’ constant search for the unusual, showed their impeccable taste. Compared to the sophisticated arrangement of an R&B original like ‘Twist And Shout’, their versions were stripped down reinventions for a four-piece beat group. George Martin has confirmed that ‘it was primarily the American Rhythm and Blues sound that was their inspiration. It’s probably what the so-called Beatles sound was, because all the black music was a tremendous influence on them.’ However, that source was unknown to the majority of their British fans. The super-confident second album With The Beatles was issued in November 1963 when the single ‘She Loves You’ was at number one. Once more, it featured eight original compositions - including ‘All My Loving’ and George Harrison’s first recorded song ‘Don’t Bother Me’ - and six cover versions. A week later, ‘I Want To Hold Your Hand’ was released and also reached number one. The group had become the biggest musical phenomenon in British show business - ever. Among the key factors that led to this success were the chemistry between the four personalities in the group, their immense charm and a daring image - nobody had worn their hair that long. Their interviews were funny and articulate, they had a charismatic presence when performing, and girls screamed and swooned over them. The term ‘Beatlemania’ was coined by the press to describe the hysteria aroused by the group but, as an appearance on The Royal Variety Show demonstrated, their popularity stretched way beyond the teenage market. What The Beatles did next was extraordinary for a British act. In February 1964, they arrived in the USA to appear on the Ed Sullivan Show. They performed to 73 million viewers, the biggest television audience to date, and with ‘I Want To Hold Your Hand’ at the top of the charts, America was suddenly held spellbound by The Beatles. As their success spread across the world, almost everything the group did from then on was unprecedented. In addition to unparalleled success on record - they held all top five positions in the American chart in the first week of April - their first movie A Hard Day’s Night was a box office hit and acclaimed for its wit, invention and unbeatable self-composed songs. Premiered in July 1964, it was perfectly timed to capitalise on their international breakthrough. 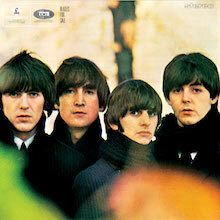 They rounded off the year with Beatles For Sale and the massive hit single ‘I Feel Fine’. In 1965, they starred in the film Help!. Like their first movie, it was directed by Richard Lester and featured a brilliant batch of songs on its accompanying album. Tucked away towards the end of the LP was a performance by Paul McCartney of his composition ‘Yesterday’. Not even released as a single in the UK, it was a number one in America. It quickly became - and remains - the most covered song of all time. ‘Yesterday’ is an example of how The Beatles and their producer did not compromise; whatever best served the song was always pursued. In the case of ‘Yesterday’, the bold choice was a classical arrangement for string quartet. For the next album Rubber Soul, more studio time was made available to try out unusual instrumentation and adventurous recording techniques. The words of the songs were more mature and the vocal blend, heard on tracks such as ‘Nowhere Man’ and ‘Michelle’, is one of the album’s most distinctive qualities. The Beatles’ sound is, of course, distinguished by the character of their voices. Few groups were blessed with two powerful lead singers as versatile as John Lennon and Paul McCartney. Furthermore, George Harrison not only contributed at least one lead vocal to every album, his voice was integral to the intricate harmony vocals on many Beatles tracks. Ringo Starr usually sang a solo on albums, making such Lennon /McCartney songs as Yellow Submarine and ‘With A Little Help From My Friends’ unimaginable without his voice. Released on the same day as Rubber Soul, 5 December 1965, ‘We Can Work It Out’/‘Day Tripper’ was the first of The Beatles’ double A-Sides. They ended another frantically busy year with their final British tour. There was a deadline to complete their next album, because concerts had been scheduled for the summer of 1966 all over the world. But this did not affect their approach to recording at all. The Revolver sessions saw the group reach a new peak of creativity in performance, songwriting and innovative studio techniques. In addition to the songwriting mastery displayed by John and Paul, the LP contained the biggest contribution to date from George with three songs. His caustic ‘Tax-man’ was given the status of the album’s opening track. ‘Eleanor Rigby’ is now regarded as a fully realised masterpiece, but when released in August 1966 on Revolver and as a single coupled with Yellow Submarine’, its solemn subject matter and stark arrangement were radically different. A year before, in August 1965, their appearance in front of 55,600 fans at Shea Stadium in New York had broken the record for concert attendance and box-office revenue. But live performance had become an unsatisfying charade...and dangerous too. Who cares how lucrative it was? That had to stop. The Beatles’ final concert for a paying audience took place at Candlestick Park, San Francisco on 29 August 1966. At the end of 1966, The Beatles started work on ‘Strawberry Fields Forever’. 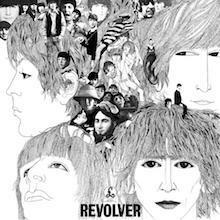 Its long evolution showed the musical imagination and technical experimentation heard on Revolver would be continued. To stop the long wait for new material, ‘Strawberry Fields Forever’ and ‘Penny Lane’ were released in February 1967. Although songs were always credited to Lennon and McCartney, it soon became clear that whoever sang the lead vocal was usually the main composer. The double A-sided single shows how their different stylistic approaches established a perfect counterbalance. Having set themselves a task of writing about their Liverpool childhoods, John’s song is dreamy and steeped in melancholy, while Paul’s is uplifting and brimming with brilliantly observed vignettes. Many were shocked when the unconventional promotional films for both songs were broadcast. Even their moustaches and John’s spectacles were considered to be evidence of how weird The Beatles had become. The square world worried. Everyone else listened over and over until they ‘got it’. Released on 1 June 1967, the immediate artistic and commercial success of Sgt. Pepper’s Lonely Hearts Club Band vindicated the new approach taken by The Beatles. It was the album that provided the soundtrack to the so-called ‘summer of love’, but its appeal is ageless. The Beatles performed their next single ‘All You Need Is Love’ for the first time on the TV programme Our World broadcast live to an audience of 350 million around the globe. Their place at the top of contemporary pop music was indisputable. Sadly, soon afterwards, The Beatles were shaken by the sudden death of their manager Brian Epstein in August 1967. They rallied to write and direct Magical Mystery Tour - a film shown on television in the UK at Christmas. Some of the millions who saw it, did not like it. As Paul McCartney remembered: ‘They were looking for the plum pudding special. That’s what they were expecting, and they very much didn’t get it! We were giving it to the young kids. Why shouldn’t they see something far out?’ The music was as successful as ever. The six new songs in the film and the number one ‘Hello, Goodbye’ completed a momentous year of recording. Three more tracks from 1967 remained unreleased until they were heard in the movie Yellow Submarine premiered in 1968. The film’s imaginative animation evoked the ‘psychedelic’ spirit of Sgt. Pepper to reveal the triumph of Love over Evil. Nowadays, following a year as busy as The Beatles had in 1967, an artist would take an extended break. In fact, the group did allow themselves a little time off. The first music of 1968 came in March on their seventeenth single ‘Lady Madonna’. Soon after it was recorded, The Beatles flew to Rishikesh, India for several weeks of meditation with Maharishi Mahesh Yogi. At this remote and peaceful location, they enjoyed a prolific period of songwriting. 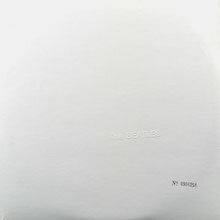 As George Harrison explained: ‘When we came back, it became apparent that there were more songs than would make up a single album.’ Recorded in five months, the double LP The Beatles was soon known as ‘The White Album’ because of its plain white cover. ‘Hey Jude’ and ‘Revolution’ were the first songs to be heard from the sessions when they were released as a single on 30 August 1968 - the first Beatles record to be pressed with the Apple label. Never interested in repeating themselves, The Beatles took a different approach in the studio in 1968. Ringo Starr remembered: ‘On “The White Album” we ended up being a band again and that’s what I always love. I love being in a band.’ Discussing his songwriting, John Lennon reflected: ‘It was a complete reversal from Sgt. Pepper. My songs on the double album were fairly simple and basic.’ It is still astonishing to hear The Beatles moving through every style of popular music imaginable, including a pastiche of a Hollywood musical number (‘Honey Pie’), an intense blues (‘Yer Blues’) and heavy rock (‘Helter Skelter’). As with Sgt. Pepper, no singles were released from ‘The White Album’ in the UK and USA during the 1960s. But it is full of tracks that could have been huge hits, such as ‘Back In The USSR’, ‘Ob-la-di, Ob-la-da’ and ‘While My Guitar Gently Weeps’. In January 1969, while ‘The White Album’ was still at number one, The Beatles assembled to write and rehearse brand new songs for a televised live concert. The plan changed so that, in the end, their work was documented in a movie released over a year later. Its final scene showed The Beatles performing on the roof of their Apple office building in Savile Row, London with most of the audience gathered in the street below. ‘Get Back’, a number one single from the sessions at Apple, was swiftly followed by ‘The Ballad Of John And Yoko’ - a chronicle of John’s marriage to Yoko Ono and their honey-moon/‘Bed-In’ for peace in Amsterdam. Recorded mostly during the summer of 1969, the last album The Beatles made together was named after the street where EMI’s studios are located. It was a fitting tribute to the place where the majority of their songs had been recorded. The Beatles’ collaboration with producer George Martin and the engineers at Abbey Road had challenged the way that popular music was created. On many occasions this team re-wrote the rule book and set a new standard to which their contemporaries had to aspire. In contrast to the January recordings at Apple, which were ‘as live’ with no overdubs, their return to Abbey Road studios with George Martin resulted in carefully crafted tracks with ambitious musical arrangements. The album’s varied highlights include ‘Come Together’ and two songs that showed George Harrison’s songwriting had hit a peak - ‘Something’ and ‘Here Comes The Sun’. However, the character of Abbey Road is dominated by the sophisticated medley the group called ‘The Long One’. It brought the album, and The Beatles’ recording career, to an impressive conclusion. What a farewell. Measured in terms of its enormous popularity and musical ingenuity, Abbey Road now challenges the status of Sgt. Pepper Lonely Hearts Club Band as The Beatles’ greatest achievement. When the earlier set of recordings from 1969 was finally released as Let It Be in May 1970, news had already broken that the group had split up. 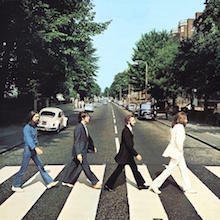 The album’s title track and ‘The Long And Winding Road’ took the total of American number ones by The Beatles to twenty in six years - a feat unequalled by any other artist. Apparently, there was a gap in the Beatles' catalog, after all -- all the big hits weren't on one tidy, single-disc compilation. It's not the kind of gap you'd necessarily notice -- it's kind of like realizing you don't have a pair of navy blue dress socks -- but it was a gap all the same, so the group released The Beatles 1 late in 2000, coinciding with the publication of their official autobiography, the puzzlingly titled Anthology. The idea behind this compilation is to have all the number one singles the Beatles had, either in the U.K. or U.S., on one disc, and that's pretty much what this generous 27-track collection is. It's easy, nay, necessary, to quibble with a couple of the judgment calls -- look, "Please Please Me" should be here instead of "From Me to You," and it's unforgivable to bypass "Strawberry Fields Forever" (kick out "Yellow Submarine" or "Eleanor Rigby") -- but there's still no question that this is all great music, and there is a bit of a rush hearing all these dazzling songs follow one after another. If there's any complaint, it's that even if it's nice to have something like this, it's not really essential. There's really no reason for anyone who owns all the records to get this too -- if you've lived happily without the red or blue albums, you'll live without this. But, if you give this to any six or seven year old, they'll be a pop fan, even fanatic, for life. And that's reason enough for it to exist. 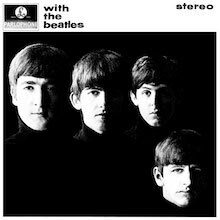 With the Beatles is a sequel of the highest order -- one that betters the original by developing its own tone and adding depth. While it may share several similarities with its predecessor -- there is an equal ratio of covers-to-originals, a familiar blend of girl group, Motown, R&B, pop, and rock, and a show tune that interrupts the flow of the album -- With the Beatles is a better record that not only rocks harder, it's considerably more sophisticated. They could deliver rock & roll straight ("I Wanna Be Your Man") or twist it around with a little Latin lilt ("Little Child," one of their most underrated early rockers); Lennon and McCartney wrote sweet ballads (the achingly gorgeous "All I've Got to Do") and sprightly pop/rockers ("All My Loving") with equal aplomb; and the propulsive rockers ("It Won't Be Long") were as richly melodic as slower songs ("Not a Second Time"). Even George Harrison's first recorded song, "Don't Bother Me," is a standout, with its wonderfully foreboding minor-key melody. Since the Beatles covered so much ground with their originals, their covers pale slightly in comparison, particularly since they rely on familiar hits (only "Devil in Her Heart" qualifies as a forgotten gem). But for every "Roll Over Beethoven," a surprisingly stiff reading of the Chuck Berry standard, there is a sublime moment, such as Lennon's soaring interpretation of "You Really Got a Hold on Me," and the group always turns in thoroughly enjoyable performances. Still, the heart of With the Beatles lies not in the covers, but the originals, where it was clear that, even at this early stage, the Beatles were rapidly maturing and changing, turning into expert craftsmen and musical innovators. It was inevitable that the constant grind of touring, writing, promoting, and recording would grate on the Beatles, but the weariness of Beatles for Sale comes as something of a shock. 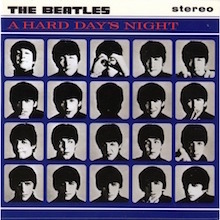 Only five months before, the group released the joyous A Hard Day's Night. Now, they sound beaten, worn, and, in Lennon's case, bitter and self-loathing. His opening trilogy ("No Reply," "I'm a Loser," "Baby's in Black") is the darkest sequence on any Beatles record, setting the tone for the album. Moments of joy pop up now and again, mainly in the forms of covers and the dynamic "Eight Days a Week," but the very presence of six covers after the triumphant all-original A Hard Day's Night feels like an admission of defeat or at least a regression. (It doesn't help that Lennon's cover of his beloved obscurity "Mr. Moonlight" winds up as arguably the worst thing the group ever recorded.) Beneath those surface suspicions, however, there are some important changes on Beatles for Sale, most notably Lennon's discovery of Bob Dylan and folk-rock. The opening three songs, along with "I Don't Want to Spoil the Party," are implicitly confessional and all quite bleak, which is a new development. This spirit winds up overshadowing McCartney's cheery "I'll Follow the Sun" or the thundering covers of "Rock & Roll Music," "Honey Don't," and "Kansas City/Hey-Hey-Hey-Hey!," and the weariness creeps up in unexpected places -- "Every Little Thing," "What You're Doing," even George's cover of Carl Perkins' "Everybody's Trying to Be My Baby" -- leaving the impression that Beatlemania may have been fun but now the group is exhausted. That exhaustion results in the group's most uneven album, but its best moments find them moving from Merseybeat to the sophisticated pop/rock they developed in mid-career. All the rules fell by the wayside with Revolver, as the Beatles began exploring new sonic territory, lyrical subjects, and styles of composition. It wasn't just Lennon and McCartney, either -- Harrison staked out his own dark territory with the tightly wound, cynical rocker "Taxman"; the jaunty yet dissonant "I Want to Tell You"; and "Love You To," George's first and best foray into Indian music. Such explorations were bold, yet they were eclipsed by Lennon's trippy kaleidoscopes of sound. His most straightforward number was "Doctor Robert," an ode to his dealer, and things just got stranger from there as he buried "And Your Bird Can Sing" in a maze of multi-tracked guitars, gave Ringo a charmingly hallucinogenic slice of childhood whimsy in "Yellow Submarine," and then capped it off with a triptych of bad trips: the spiraling "She Said She Said"; the crawling, druggy "I'm Only Sleeping"; and "Tomorrow Never Knows," a pure nightmare where John sang portions of the Tibetan Book of the Dead into a suspended microphone over Ringo's thundering, menacing drumbeats and layers of overdubbed, phased guitars and tape loops. McCartney's experiments were formal, as he tried on every pop style from chamber pop to soul, and when placed alongside Lennon's and Harrison's outright experimentations, McCartney's songcraft becomes all the more impressive. The biggest miracle of Revolver may be that the Beatles covered so much new stylistic ground and executed it perfectly on one record, or it may be that all of it holds together perfectly. Either way, its daring sonic adventures and consistently stunning songcraft set the standard for what pop/rock could achieve. Even after Sgt. Pepper, Revolver stands as the ultimate modern pop album and it's still as emulated as it was upon its original release. With Revolver, the Beatles made the Great Leap Forward, reaching a previously unheard-of level of sophistication and fearless experimentation. Sgt. Pepper, in many ways, refines that breakthrough, as the Beatles consciously synthesized such disparate influences as psychedelia, art-song, classical music, rock & roll, and music hall, often in the course of one song. Not once does the diversity seem forced -- the genius of the record is how the vaudevillian "When I'm 64" seems like a logical extension of "Within You Without You" and how it provides a gateway to the chiming guitars of "Lovely Rita." There's no discounting the individual contributions of each member or their producer, George Martin, but the preponderance of whimsy and self-conscious art gives the impression that Paul McCartney is the leader of the Lonely Hearts Club Band. He dominates the album in terms of compositions, setting the tone for the album with his unabashed melodicism and deviously clever arrangements. In comparison, Lennon's contributions seem fewer, and a couple of them are a little slight but his major statements are stunning. "With a Little Help From My Friends" is the ideal Ringo tune, a rolling, friendly pop song that hides genuine Lennon anguish, à la "Help! "; "Lucy in the Sky With Diamonds" remains one of the touchstones of British psychedelia; and he's the mastermind behind the bulk of "A Day in the Life," a haunting number that skillfully blends Lennon's verse and chorus with McCartney's bridge. 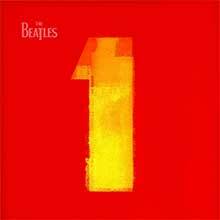 It's possible to argue that there are better Beatles albums, yet no album is as historically important as this. After Sgt. Pepper, there were no rules to follow -- rock and pop bands could try anything, for better or worse. Ironically, few tried to achieve the sweeping, all-encompassing embrace of music as the Beatles did here. The U.S. version of the soundtrack for the Beatles' ill-fated British television special embellished the six songs that were found on the British Magical Mystery Tour double EP with five other cuts from their 1967 singles. (The CD version of the record has now been standardized worldwide as the 11 tracks found on the American version.) The psychedelic sound is very much in the vein of Sgt. Pepper's, and even spacier in parts (especially the sound collages of "I Am the Walrus"). Unlike Sgt. Pepper's, there's no vague overall conceptual/thematic unity to the material, which has made Magical Mystery Tour suffer slightly in comparison. Still, the music is mostly great, and "Penny Lane," "Strawberry Fields Forever," "All You Need Is Love," and "Hello Goodbye" were all huge, glorious, and innovative singles. 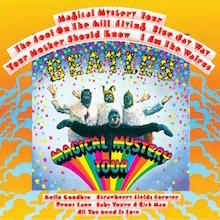 The ballad "The Fool on the Hill," though only a part of the Magical Mystery Tour soundtrack, is also one of the most popular Beatles tunes from the era. Each song on the sprawling double album The Beatles is an entity to itself, as the band touches on anything and everything it can. This makes for a frustratingly scattershot record or a singularly gripping musical experience, depending on your view, but what makes the so-called White Album interesting is its mess. Never before had a rock record been so self-reflective, or so ironic; the Beach Boys send-up "Back in the U.S.S.R." and the British blooze parody "Yer Blues" are delivered straight-faced, so it's never clear if these are affectionate tributes or wicked satires. Lennon turns in two of his best ballads with "Dear Prudence" and "Julia"; scours the Abbey Road vaults for the musique concrète collage "Revolution 9"; pours on the schmaltz for Ringo's closing number, "Good Night"; celebrates the Beatles cult with "Glass Onion"; and, with "Cry Baby Cry," rivals Syd Barrett. McCartney doesn't reach quite as far, yet his songs are stunning -- the music hall romp "Honey Pie," the mock country of "Rocky Raccoon," the ska-inflected "Ob-La-Di, Ob-La-Da," and the proto-metal roar of "Helter Skelter." Clearly, the Beatles' two main songwriting forces were no longer on the same page, but neither were George and Ringo. Harrison still had just two songs per LP, but it's clear from "While My Guitar Gently Weeps," the canned soul of "Savoy Truffle," the haunting "Long, Long, Long," and even the silly "Piggies" that he had developed into a songwriter who deserved wider exposure. And Ringo turns in a delight with his first original, the lumbering country-carnival stomp "Don't Pass Me By." None of it sounds like it was meant to share album space together, but somehow The Beatles creates its own style and sound through its mess. The last Beatles album to be recorded (although Let It Be was the last to be released), Abbey Road was a fitting swan song for the group, echoing some of the faux-conceptual forms of Sgt. Pepper, but featuring stronger compositions and more rock-oriented ensemble work. The group was still pushing forward in all facets of its art, whether devising some of the greatest harmonies to be heard on any rock record (especially on "Because"), constructing a medley of songs/vignettes that covered much of side two, adding subtle touches of Moog synthesizer, or crafting furious guitar-heavy rock ("The End," "I Want You (She's So Heavy)," "Come Together"). George Harrison also blossomed into a major songwriter, contributing the buoyant "Here Comes the Sun" and the supremely melodic ballad "Something," the latter of which became the first Harrison-penned Beatles hit. Whether Abbey Road is the Beatles' best work is debatable, but it's certainly the most immaculately produced (with the possible exception of Sgt. Pepper) and most tightly constructed.